Cannabidiol (CBD) oil is rapidly increasing in popularity as new research comes out regularly supporting the compound’s therapeutic effects. Unfortunately, a rise in popularity can lead to an increase in misinformation. If you’re interested in CBD oil, it’s important that you understand the truth about how it works. Here are 6 common myths and misconceptions about CBD oil. Myth #1: CBD oil makes you high. The difference between CBD and THC is becoming more widely understood, but some people still have misconceptions. CBD and THC are both cannabinoids, which are compounds found in cannabis that interact with the body’s endocannabinoid system. Both compounds have different effects on the body, though. THC is one of the main cannabinoids found in marijuana and is responsible for marijuana’s psychoactive effects. CBD is another major compound in cannabis, but it doesn’t have these impairing or intoxicating properties. CBD oil does have anti-anxiety and mood-elevating effects for many people, but it doesn’t contain THC, so it will not make you high. Myth #2: CBD oil is always made from marijuana. Some CBD oil comes from marijuana, but marijuana is only one form of the cannabis plant. Many types of CBD oil are derived from hemp, which has no psychoactive properties and is legal in all states. 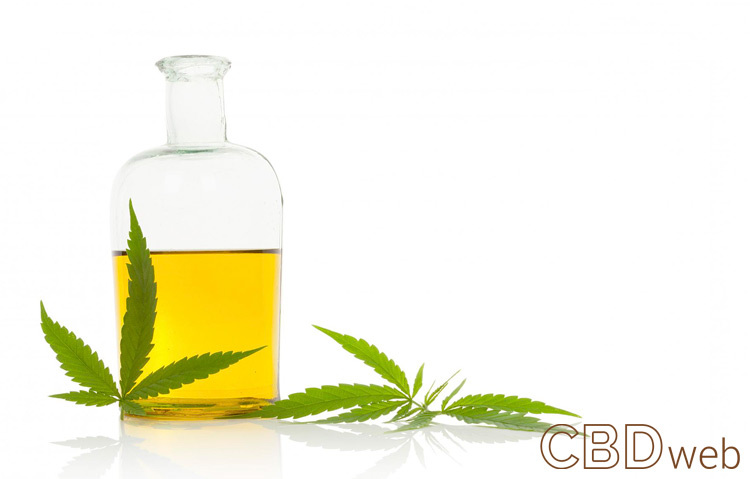 When you purchase CBD oil, the manufacturer should clearly state where the oil comes from. Some people prefer marijuana-derived CBD, and others prefer-hemp derived. However, CBD oil is not synonymous with marijuana. Myth #3: CBD and THC doses are the same. Although CBD and THC are different compounds that interact with the body in different ways, they do have many overlapping properties. A common misconception about cannabis is that THC and CBD are equal in potency, so a 10 mg dose of THC will have the same effects as a 10 mg dose of CBD. In reality, THC is much more potent than CBD, so you may need a higher dose of CBD to feel its effects. For example, some people can feel the anti-anxiety effects of THC with just a 5 mg dose, but it may take more than 100 mg of CBD to achieve similar results. Myth #4: Higher CBD doses are always better. Although CBD doses usually need to be larger than THC doses, more isn’t always better. CBD is biphasic, which means that it can have different effects on the body at different doses. The effects of CBD don’t necessarily get stronger as you consume more. In some cases, high doses of CBD can have the exact opposite effect as lower doses. For example, a low dose of CBD usually increases wakefulness and alertness, but a high dose acts as a sedative. Therefore, you have to be careful when figuring out your ideal dosage of CBD oil. It may take some trial and error to determine what dose provides the best results. Myth #5: CBD oil is a cure. Plenty of research supports CBD oil as a possible treatment for a wide variety of health issues. It isn’t a miracle cure, though, and you shouldn’t use it as a replacement for doctor-recommended treatments. CBD oil is valuable for pain relief and symptom management for many conditions, but more research is needed before experts will confirm it as a cure for anything. Myth #6: CBD oil is illegal. There are many misconceptions about the legality of CBD oil, but understanding the laws on CBD will help you know what is and isn’t legal in your state. The most important distinction is between CBD oil that’s derived from marijuana and CBD oil that’s derived from hemp. In states that have legalized marijuana, all forms of CBD are legal. In states without legal marijuana, CBD oil derived from marijuana is illegal. However, CBD derived from hemp is legal everywhere. Hemp does not contain THC, the psychoactive component of some cannabis plants, so you can purchase hemp-derived CBD oil without worrying. If you already use CBD oil or are interested in using it, it’s important to be educated on its uses, benefits and even safety concerns.